San Jose is the 10th largest city in the United States and the largest in Northern California with a population of about 1 million. 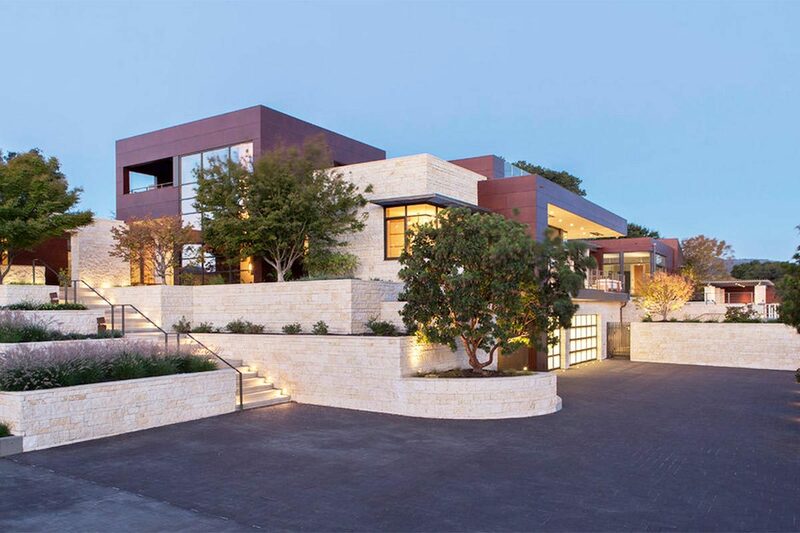 Known as the capitol of silicon valley this Bay Area city is not without affluence. 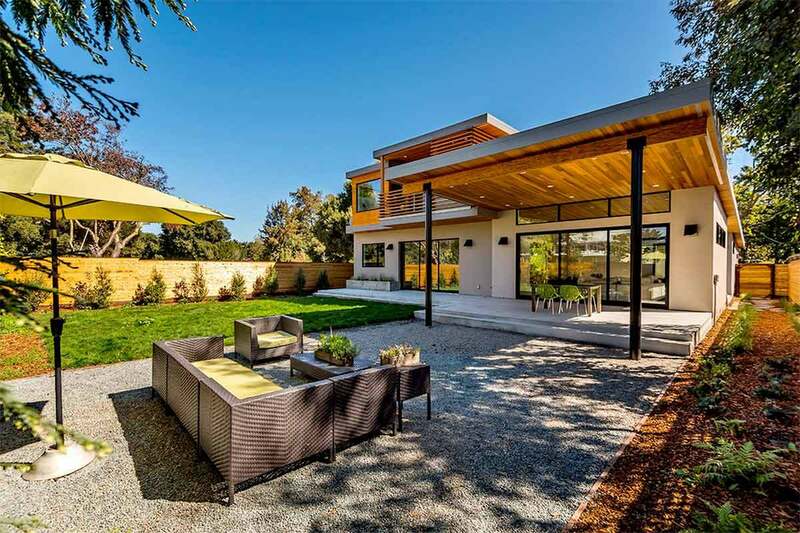 The cost of living is high but that hasn't stopped residents from building beautiful luxury homes all over this West Coast city. We would like to highlight some of our favorites from the best contractors and architects San Jose has to offer. 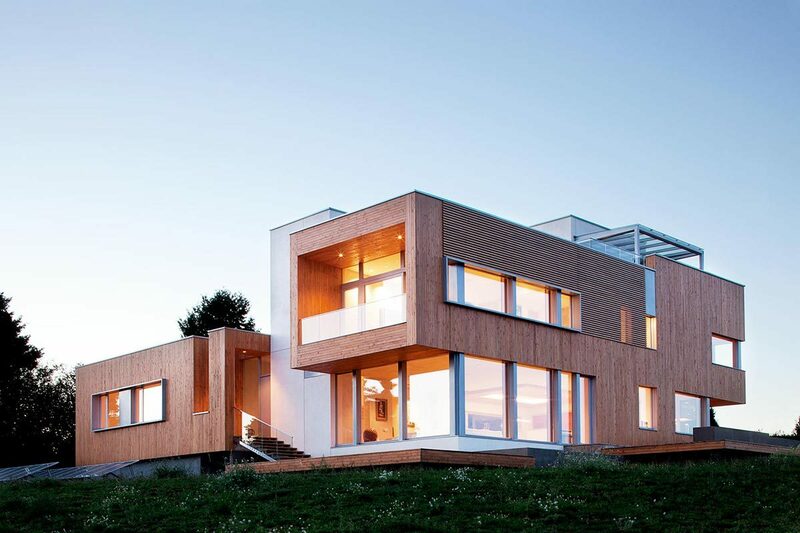 Architects at Studio S Squared Architecture were given a restrictive piece of land to design a modern residence on and set out to create a home that takes full advantage of its lot. We start off with the front which has two separate car garages allowing for the option to transform one into a studio or office in the future. 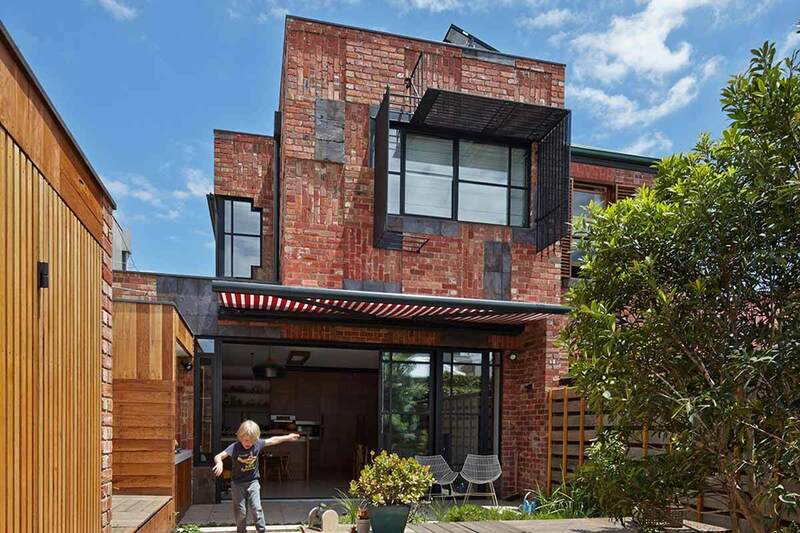 The back of the home features an amazing roof extension providing a nice flow from the living roof to the sheltered outdoor space. The long woods slats and pot lighting extends from the inside to the outside to create a seamless transition and add to the visual space. Only thing missing here is an outdoor fire pit! 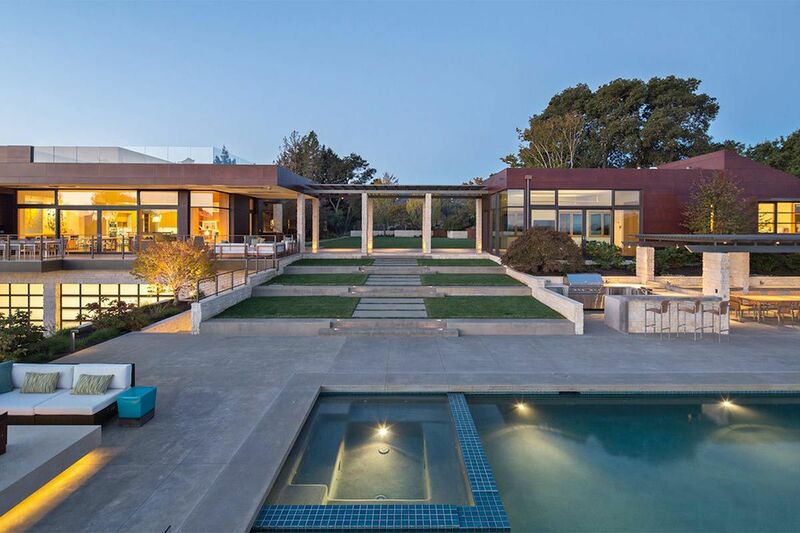 This modern palatial home was built to embrace the lovely California climate. Loads of outdoor space and features like an exposed walkway and multiple french doors make this home flow easily from indoors to outdoors. 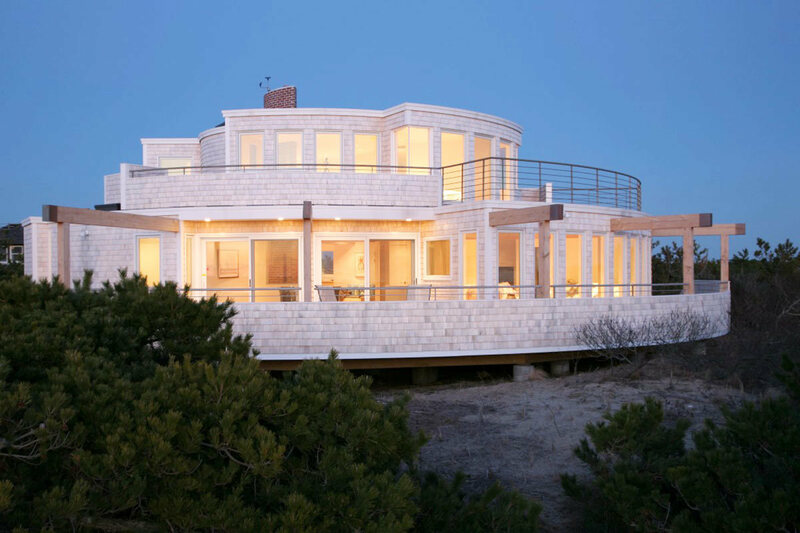 Rockwood Design Associates ensured that the view is never lost from either side of the home by aligning the doors on either side of the home to create little purviews to the panorama. On the other side of the home we find a gorgeous pool with minimal surrounding and landscaping to highlight the minimal architecture. We love how the living room opens up on two sides to become part of the patio. Davide Gianella of Acadia-Architecture knows that modern design doesn't have to break fundamental barriers. 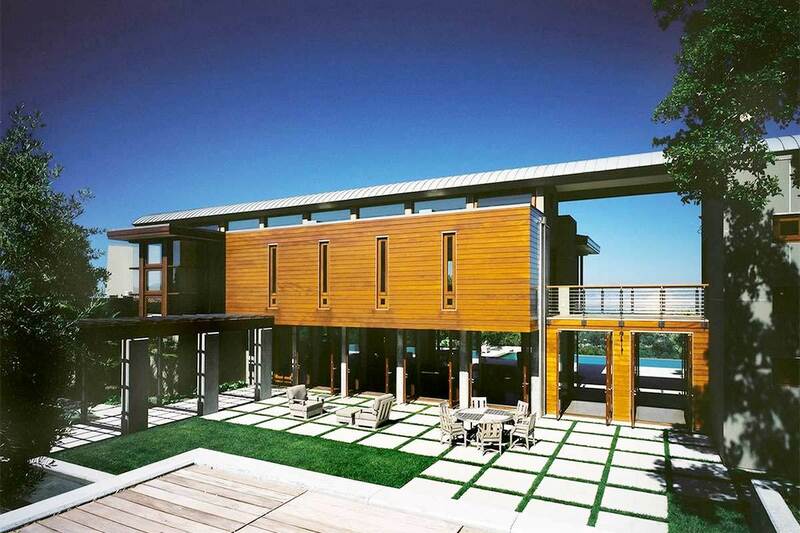 One can design a modern home while keeping things practical and manageable. Metal roofing combined with a clean white finish make for a very minimal aesthetic but things are livened up a bit with a tiled accent in the middle of the structure and in the garden terrace. Conrado Home Builders are some of the best contractors in San Jose and their excellence is exemplified here in this beautiful Saratoga home. 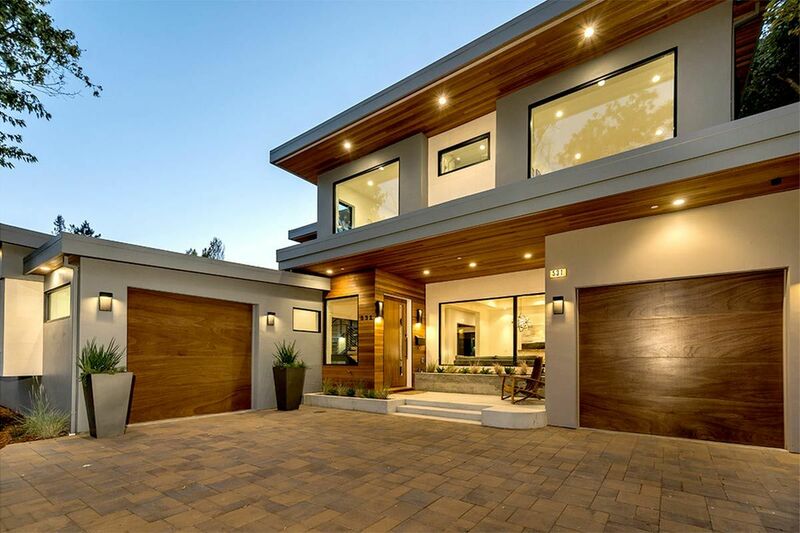 Combined with the design sense of Architect Louie Leu, Conrado Home Builders created a home that's contemporary in both design and technology. 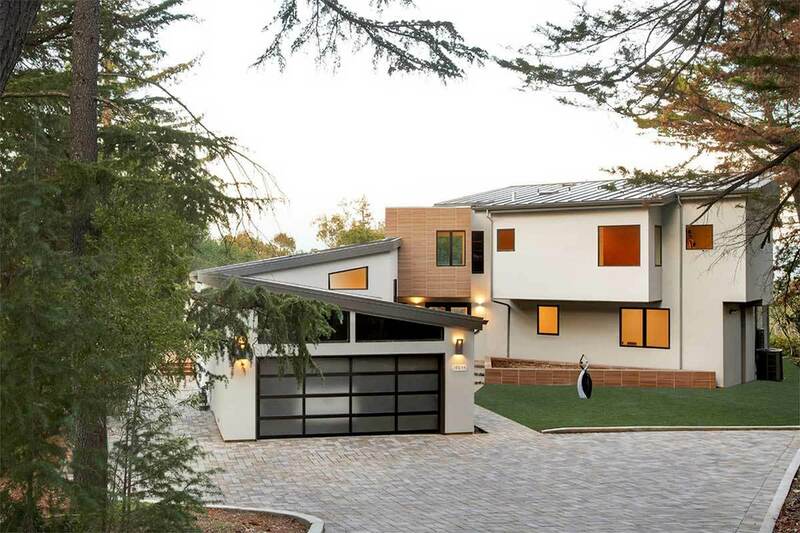 With environmentally friendly tech like a solar-paneled roof and rain water cisterns this is a home fit for Steve Jobs. 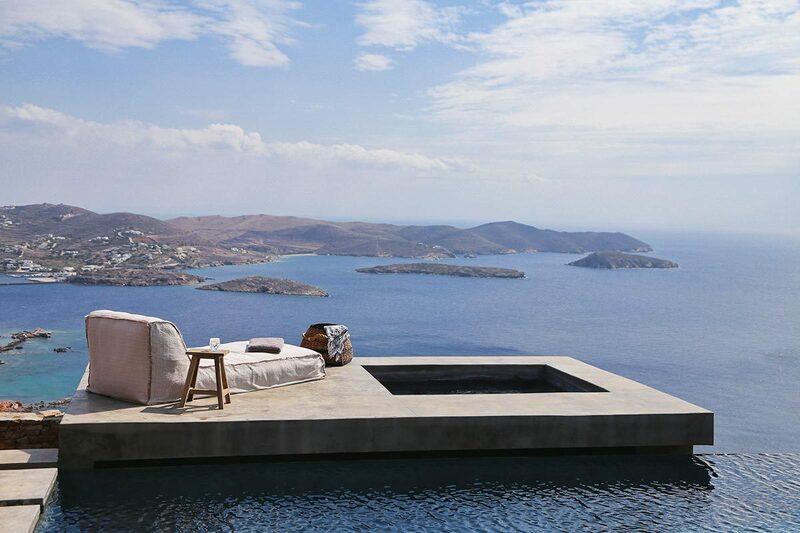 An 85 foot long infinity pool sits at the very edge of the expansive and multi-faceted outdoor space. Instead of creating a simple patio and swimming pool, Conrado took advantage of this massive lot to create many alternative outdoor spaces that feel more like rooms of a house.